Aspirinox Alloys Inc is a professionally managed organization offering a broad spectrum of Alloy 20 Pipes in India and across worldwide clientele. We offer these Alloy pipes as per the international and national quality standards in varied sizes and specifications at economical rates to our patrons. These 20 Allot Pipes are also known as Alloy UNS N08020 Pipes / WNR. 2.4660 Pipes and Tubes which have excellent mechanical properties and can be fabricated by means of comparative ease. We have a diverse range of Alloy 20 Seamless Pipe as per ASTM / ASME SB 729 / SB 729 standards that are prominent in the process industry. 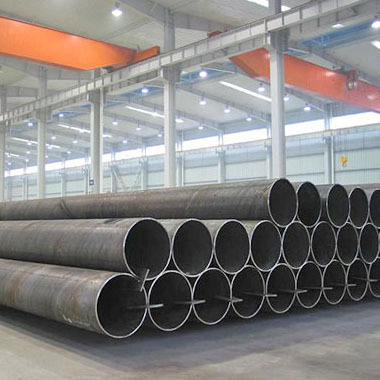 Whereas, Alloy 20 Welded Pipe offered by us as per ASTM B 464 / 468, SB 464 / 468 standards to meet all needs of our clients. These pipes are made from a nickel-iron-chromium alloy with additions of copper and molybdenum, i.e NiCr20CuMo. Contains niobium for stabilization against sensitization resulting in intergranular corrosion. Has excellent resistance to general corrosion, pitting, and crevice corrosion in chemicals, containing chlorides. Being a global supplier, stockiest and exporter, we bring these Inconel Alloy 20 pipes in customized sizes and thicknesses, with round, square, rectangular, hollow and oval shapes as per the exact demands of our esteemed clients. Call us now for more info. Specifications for Alloy 20 Pipes. If any specification is not mentioned here, please use the contact button for quick quote. Contact us or click on the below button to request a latest Alloy 20 pipes price list. Aspirinox Alloys INC is dedicated to providing the world class Alloy 20 pipes that cater all your demands at very competitive rates.